No one knows the exact amount of remittances Africans send home, since not all of this goes through official channels. World Bank figures show that remittances to different regions in Africa hover between 1 per cent and 5 per cent of gross domestic product (GDP), with West Africa receiving around 4 per cent of its GDP in remittances. Total remittances to Africa stood at $41.6 billion in 2011, while in 2012 the figure rose to $60 billion. In the same year official development aid to sub-Saharan Africa totalled $44.6 billion. 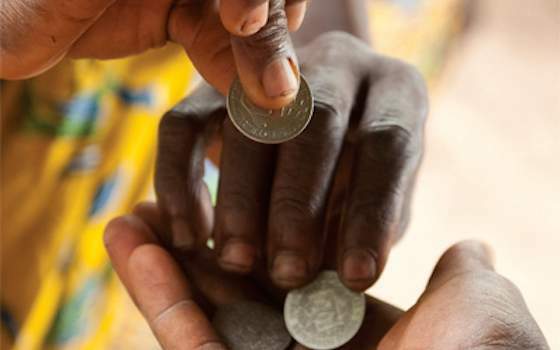 These figures show that the more than 140 million Africans working outside the continent are remitting far more money to Africa than the development aid funds received from international donors. The figure is bound to grow higher because of the formation of new diasporas in economically fast developing areas of the world such as China, Russia, India and Brazil. Currently, more than 70 per cent of the remittances that flow to Africa south of the Sahara comes from the West, but it is expected that a growing percentage will come from new African diasporas in places such as China. Figures obtained from interviewing African diaspora members in China indicate that Africans send home anywhere from 10,000 to 100,000 yuan ($1,600 to $16,000) per person annually. If all of the half million Africans plying their trade in China were doing this, Africans in China would be sending home anywhere between $800 million and $8 billion a year. Foreign remittances have a great advantage over foreign aid funding in that these funds go directly to the remittance targets. Of course, there have been cases in which family remittance monies have been wasted or misappropriated. But this is nothing compared to the legendary inefficiencies in the foreign aid industry. Overseas Development Assistance (ODA) and other types of foreign aid funds have been known to be misappropriated at both governmental and nongovernmental levels. There are estimates showing that in some cases less than 10 per cent of ODA funds actually benefit the most vulnerable populations, the 90 per cent or so entering the pockets of government officials and even foreign aid workers who are sometimes paid huge sums to live like kings in the midst of the poverty they are supposed to eradicate. A second advantage of remittance funds is that they are for the most part devoid of conditions. Diaspora African remittances are gifts of love to develop the family, by paying school fees, building houses and growing businesses. Foreign aid funds in most cases attract interest, even if the rate is low. But more importantly a lot of conditions are imposed by donors, such as the need for structural adjustment programmes, public sector deregulation, privatization and even demands for the overhaul of the country's political system. Foreign aid could thus be used as a neo-colonial tool to influence the socio-economic and socio-political decision-making processes of the recipient countries. Even though remittances are used mostly for family consumption while foreign aid funds such as ODA are used for public service delivery, remittances go further to improving the general welfare of the citizens than foreign aid, given the latter's dismal record in funds mismanagement. There are two surprising reactions to the research that I have done. First, that African governments do not seem to have robust policies to attract African diaspora remittances. One way to draw more remittance funds to Africa is to involve diaspora Africans more in the political system of the countries. Very few Africans abroad are allowed to vote in African elections, let alone be consulted over vital economic decisions. Second, it is also surprising that some Western financial institutions have reacted in ways that can hinder the flow of diaspora funds to people in need. One such way is to use the excuse that remittances can be diverted -- and have been -- to finance terrorism in parts of Africa such as Somalia.